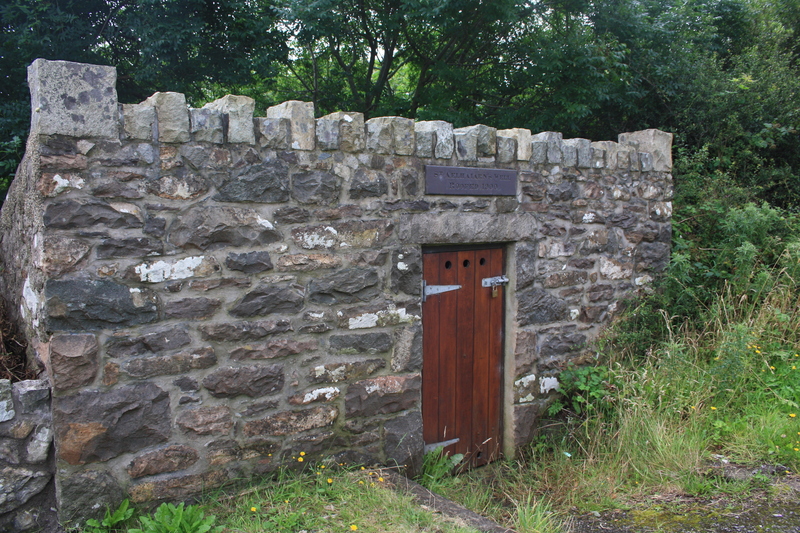 Ffynnon Aelhaearn is locked, very definitely closed for business.. A small stone building by the roadside out of Llanaelhaearn towards Nefyn proudly displays its name, but pilgrims on the Bardsey trail are no longer accommodated. The present structure dates from around 1975. However following a diphtheria epidemic, in 1900 the waters enclosed and roofed. Peering through the cracks in the doorway it is possible to make out an iron grille inside, fencing off the pool of water. Aelhaearn, “the Saint with the Iron Eyebrow”, lived in the seventh century, and was a pupil and follower of Beuno, whose final church at Clynnog is only a couple of miles away from Llanaelhaearn. 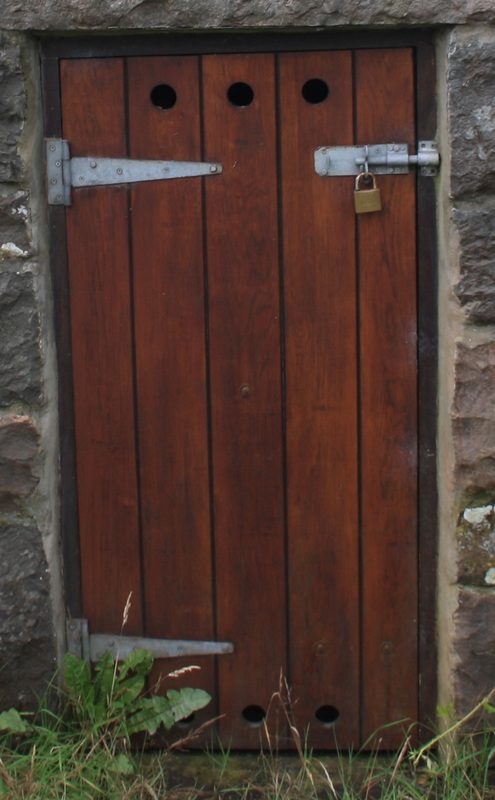 Aelhaearn has also had churches dedicated in Guilsfield, Powys, and near to Gwyddelwern, places also linked to Beuno’s life. Aelhaearn is remembered as the recipient of another of Beuno’s miracle cures. Beuno was, apparently, in the habit of walking the four miles from Clynnog to Llanaelhaearn in the dead of night to pray on a particular rock in the river. Aelhaearn, nosy to see what he got up to followed him one night. Beuno was startled during his prayers by a noise in the bushes, and prayed to God that if the intruder had any ill intention towards him that God should show some example to him. Whereupon wild beasts came out of the forest and tore Aelhaearn limb from limb. Beuno, having acted first and questioned later, then realised that this was his pupil and promptly set about reassembling and reanimating the body. All the pieces were found excepting that part of the bone under one eyebrow, which Beuno replaced with a conveniently shaped piece from the blade of his spear. Aelhaearn survived the experience, but spent the rest of his days bearing this iron eyebrow. Aelhaearn’s feast day is celebrated on November 1st. 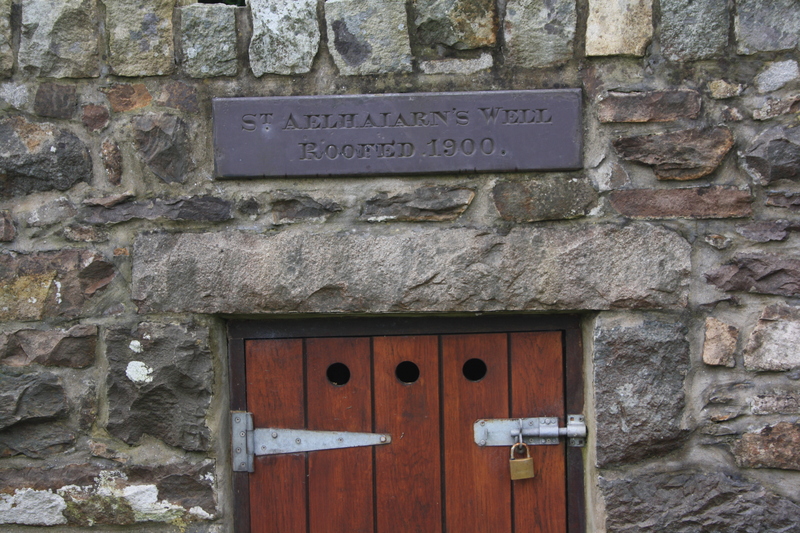 Discussions have been held in recent years concerning the reopening of the well to the public. It remains one of the major sites on the pilgrims route through the Lleyn Peninsula, and features in a number of guide books. Apparently ownership and access rights are in question, and it doesn’t seem that any movement towards opening the well will occur soon. Of course, iIf anyone is willing to divulge how a key can be obtained we would love to have the opportunity to view the inside of the well. Note on spelling – Aelhaearn is often found spelled Aelhaiarn, and there are other extant spellings of the Saint’s name. For consistency we have adopted the spelling for the Saint and village in most common usage today.